They are found in the eastern part of southern Canada and the U.S. through the Midwest. 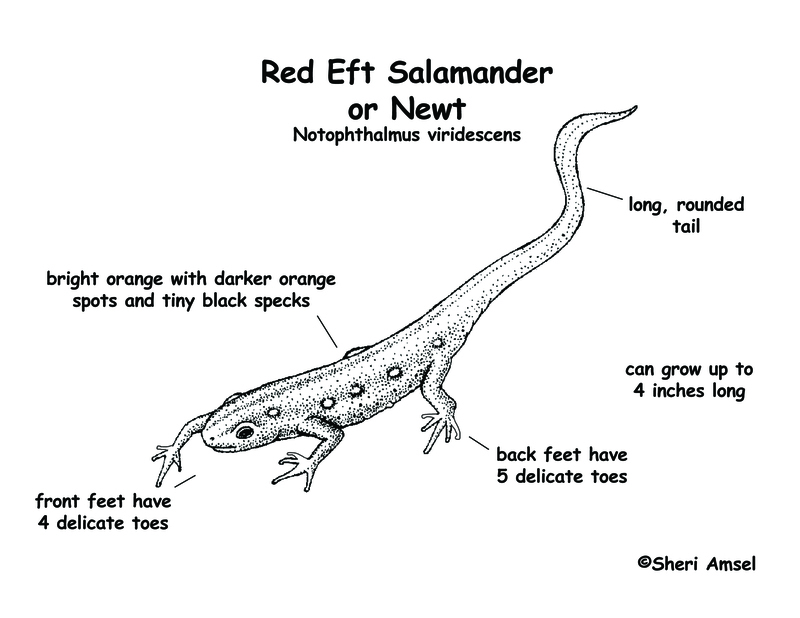 They live in wet woodlands near streams, marshes or ponds. 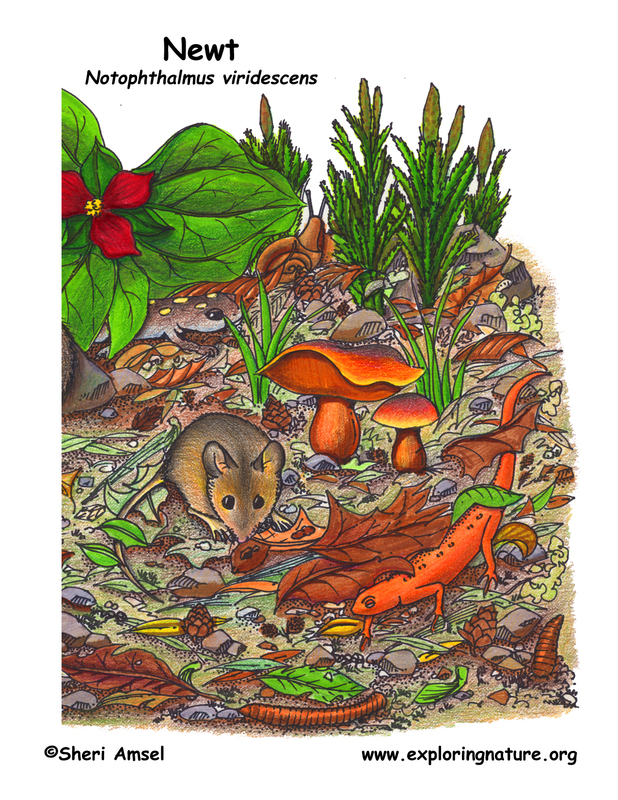 They are often seen searching around in the leaf litter on the forest floor for food. 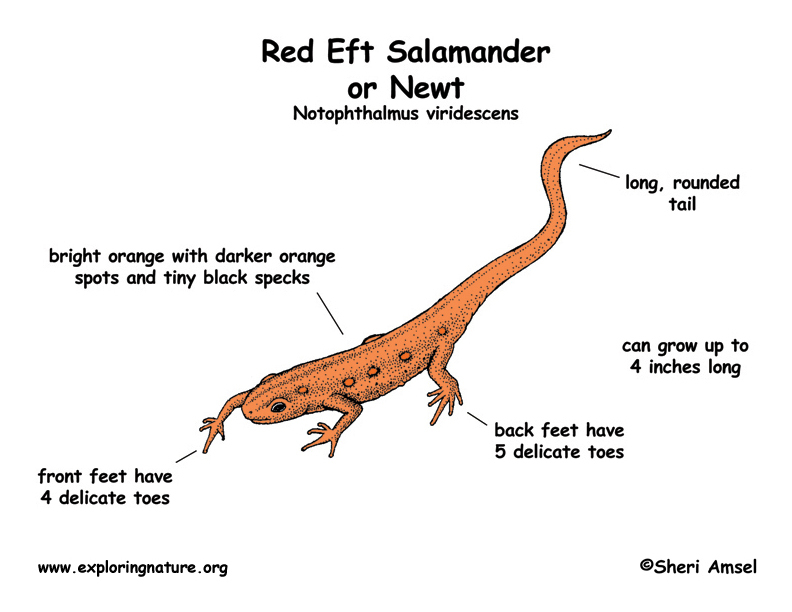 Red efts first come out of the water less than an inch long, but can grow over time to up to 4 inches long. They are bright orange with spots but fade to green after a few years. Their front feet have 4 toes and back feet have 5 toes. 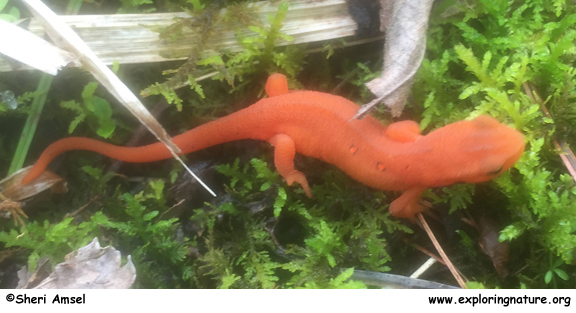 They can often be seen as bright orange beacons crossing the road in the forested areas where they live. After several years living on land, they will fade to light green and go back to living in water. They do not develop gills again, but must come to the surface to breath through their lungs. They eat insects and small wetland animals, like snails and minnows. Their biggest threat is their forest habitat being cut down by humans. They have toxins (poison) in their skin that would make a predator sick. Their bright orange color warns predators that they taste bad! 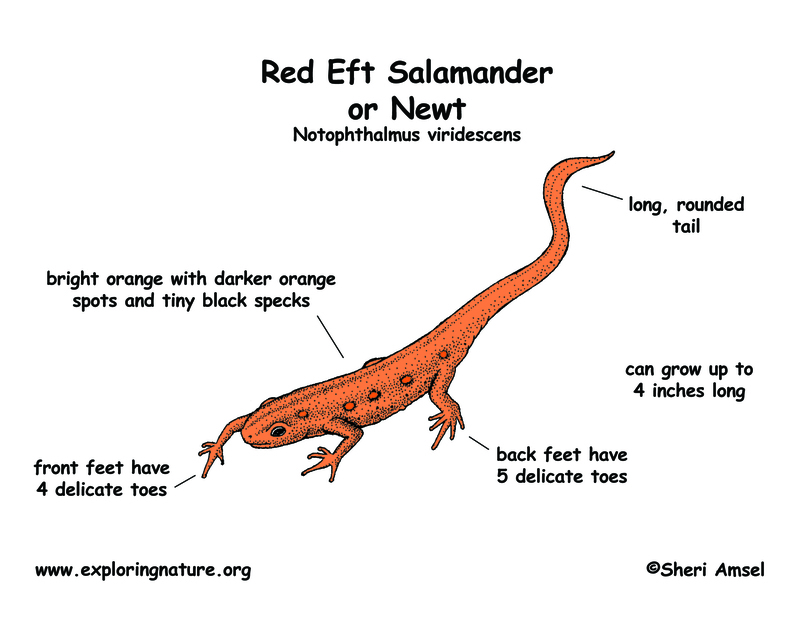 Even humans should wash their hands if they touch a red eft. They will get stiff and flex their head and tail up if they are bothered. This is to put off predators, which usually look for moving prey. They lay their eggs in the water. They start out life in the water breathing through gills. As they grow, they develop lungs and can leave the water to live on land.